With three clean sheets in his last four matches, not many people can say they have got the better of Burnley's James Tarkowski recently. But that was until he came up against 10-year-old Xavier Brookes. The Padiham Primary School poet went head-to-head with the Clarets defender in a classroom rhyme battle, to promote the new Premier League Writing Stars poetry competition. WATCH:️ Rhyme Battle | @Tarky19 V Xavier Brookes. Xavier is one of the poets from across England and Wales taking part in PL Writing Stars, which is inspired by the William Hickson poem "Try, Try Again" and encourages children to write poetry in different creative forms, including a rap, song lyrics or haiku. 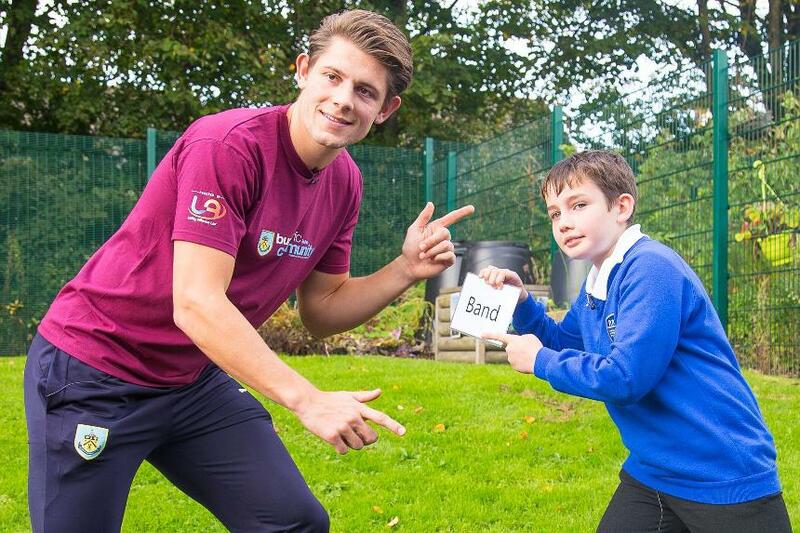 Tarkowski and Burnley team-mate Matt Lowton went back to school to hear the poems written by the pupils as well as well as discussing what it means to be resilient. "If you write something and it doesn't quite come off, or it doesn't rhyme or it doesn’t sound right - don't give up," Lowton told burnleyfootballclub.com. "You'll get there in the end if you keep trying."